With support our initiatives funded by our Title Sponsors, Children’s Dental Health Service’s (CDHS) collaborative dental hygienists saw siblings Jereece and Neveah at their Head Start location to provide preventative care services, including a dental cleaning using donated supplies and oral health education. The very few local dental providers accept Jereece and Neveah’s insurance, and those that do have wait lists of four to six months for patient appointments. At the time of their preventative care services, both children received a dental exam from a dentist who identified they had extensive urgent restorative needs. 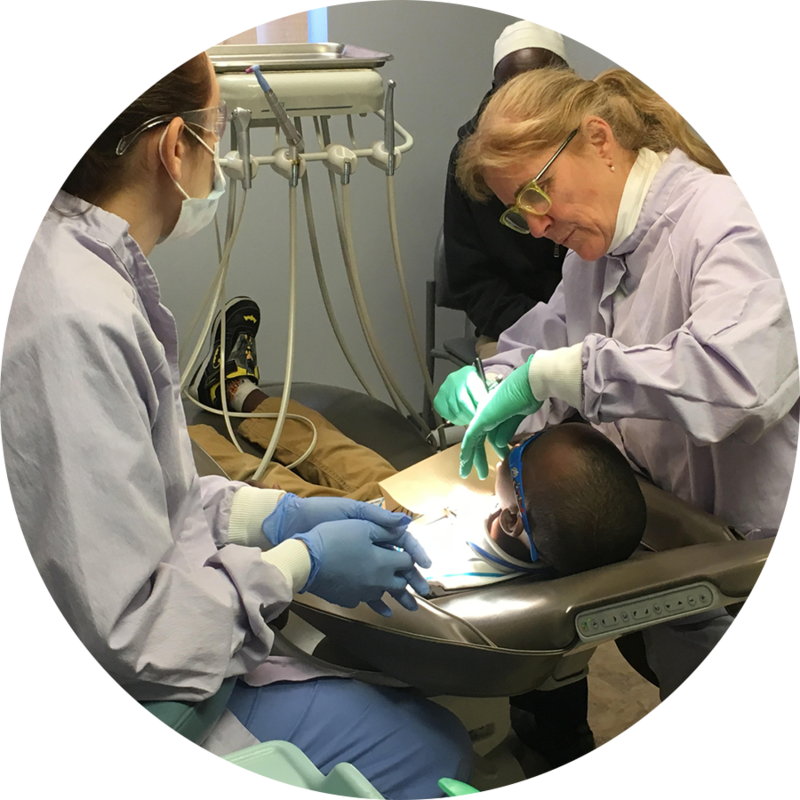 CDHS staff worked with the boys' head start teachers and family to schedule dental appointments at their office to have all unhealthy teeth treated. CDHS staff told us, "Without donated supplies we may not have been able to provide the care these young boys needed."